Some moments in life are simply breath-taking. 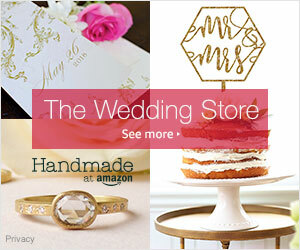 Your whole beach wedding experience should have the same effect as well! 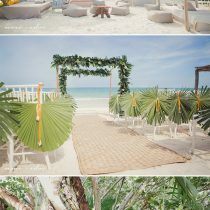 Thanks to the amazing photographers, Paco & Betty, this beautiful beach wedding in Mexico looked like heaven! With swaying palm trees, sunny skies and a crystal clear ocean as the backdrop to work with, this newlywed couple was able to enhance their experience with a great planner who took price in every precious detail. The color scheme of orange and green really help create a soft and vibrant feel to the wedding, while also complimenting the palm trees in the background. Although it’s hard to choose from so many great elements, some of the best features were present at the wedding reception. The quirky touch to the dinner menus at the tables was simply genius! Capturing the couple’s first dance as husband and wife in black and white towards the end of the night was very symbolic of their love being classic and endless. 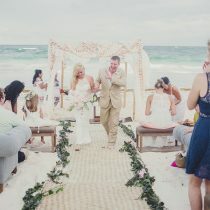 An exotic destination wedding is where dreams come true! 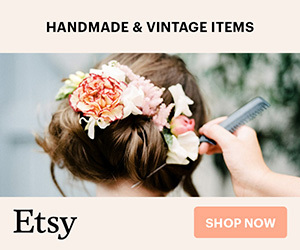 OMG Love the floral design and the DIY stationery. Lovely wedding! Thanks, Andreina! I love the stationary too, so cute and creative!